254,114 people shared the same torrent at the same time. 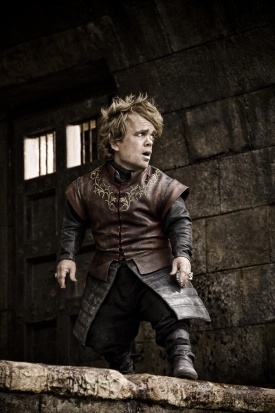 Game of Thrones fans flocked to the show for its series finale, with 7.1 million people tuning in at 9pm to see whether or not Tyrion Lannister would end up as a decorative item atop the battlements. Pirates also went straight to the source for their viewing pleasure, with a record-breaking 1.5 million downloads in the first 12 hours after release, according to TorrentFreak. Of those 1.5 million, 254,114 people were sharing the same torrent at the same time, another record; but then, Game of Thrones has been setting all the records this year. Unless some kind of pirate miracle happens, Game of Thrones will retain its title as the most pirated television show of the year. That'd make it a three-time winner of that not so coveted crown. When asked which scene he was most worried about shooting, finale director Alex Graves said, "All of them. The finale was such a powerhouse on a scene-by-scene basis ..." [And yes, that link be full of spoilers, so consider yourself warned.] The audience - pirate or otherwise - would seem to agree with him.